The Montessori classroom provides a prepared environment in where children can be driven naturally to work and learn. The children’s inherent love of learning is encouraged by giving them the opportunity to be spontaneous, and engage in meaningful activities under the guidance of a trained instructor. Through their work, children develop concentration, motivation, persistence, and discipline. Within this framework of order they progress at their pace and rhythm according to their individual capabilities. Acquiring a love of learning and learning how to learn, is our goal. With this in mind, we have organized our curriculum, which is more progressive than traditional curriculum. 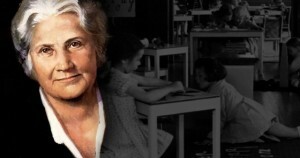 We have based our curriculum on the Maria Montessori teachings. The curriculum presents lessons simply and concretely in the early years, and is introduced again in a more abstract and complex presentation during the subsequent years. She called it a “A Children’s House,” and based the program on her observations that young children learn best in a home-like setting, filled with developmentally appropriate materials that provide experiences contributing to the growth of self-motivated, independent learners. Children possess unusual sensitivity and mental powers for absorbing and learning from their environment, which includes people, as well as, materials. She carried her message throughout the world, including the United States as early as 1912. 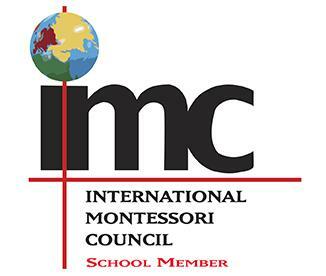 After an enthusiastic first response, interest in the U.S. waned until a re-introduction of the method in the mid-1950’s, followed by the organization of the American Montessori Society in 1960.